Country music legend Dolly Parton was born January 19, 1946 in Locust Ridge, Tennessee. She has over forty years of experience in the music business earning her the title “The Queen of Country Music”. Her accomplishments include twenty-five number one singles (Gold Record, Platinum Record and Multi-Platinum Record), forty-one top ten country albums and twenty-six Billboard Chart toppers. Dolly Parton was the fourth of twelve siblings and grew up in a lower class family in Tennessee. 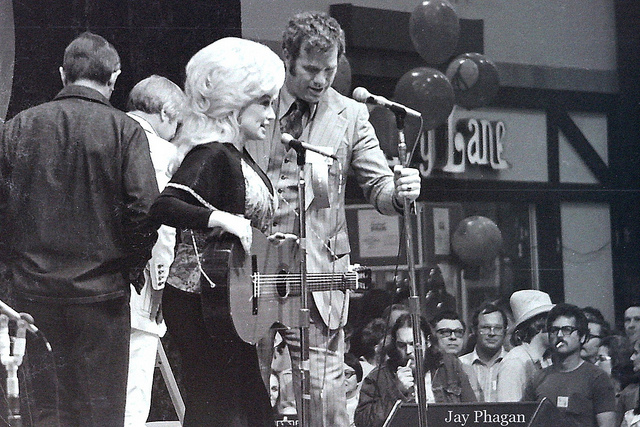 Dolly’s music interest began when she got her first guitar at eight years old and started writing songs. At age eleven she began singing on a local radio station in Knoxville, and at thirteen made her first recording on a small Louisiana label Gold Band Records. Once she graduated high school in 1964, Dolly moved to Nashville to pursue her musical career at the encouragement of country singer and songwriter Johnny Cash.